Ignited By Truth events are made possible each year by the efforts of hundreds of volunteers. We welcome you to join the team! Please contact us at volunteer@IgnitedByTruth.org. With God, all things are possible! We welcome you to join us in praying for the success of the conference and mission. See the Ignited By Truth Conference Prayer below. Please consider offering a Holy Hour, Rosary, Novena, or other spiritual sacrifice. 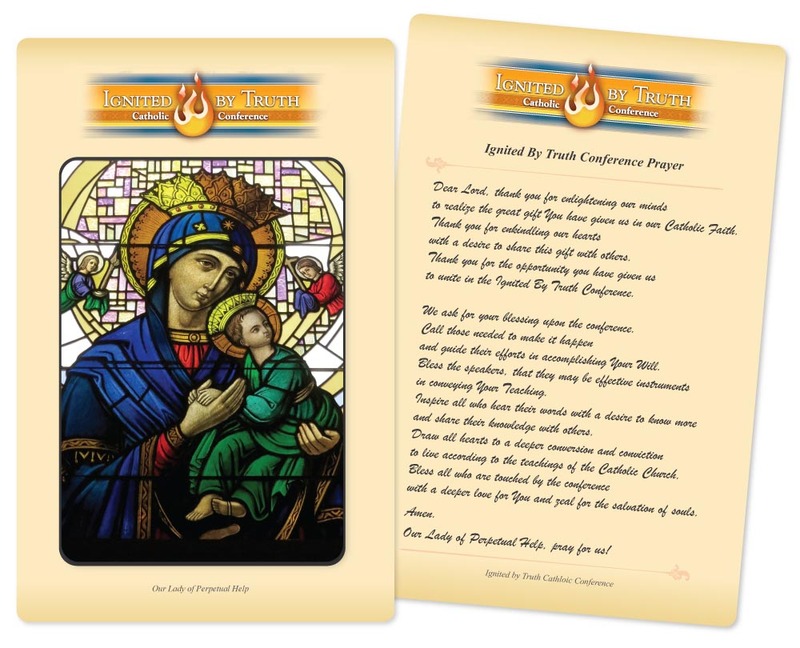 A Novena to the Holy Spirit can be found here. Please email us at prayer@IgnitedByTruth.org if you can commit to bringing these intentions to our Lord in Adoration or during family devotions. Dear Lord, thank you for enlightening our minds to realize the great gift You have given us in our Catholic Faith. Thank you for enkindling our hearts with a desire to share this gift with others. Thank you for the opportunity you have given us to unite in the Ignited By Truth Conference. We ask for your blessing upon the conference. Call those needed to make it happen and guide their efforts in accomplishing Your Will. Bless the speakers, that they may be effective instruments in conveying Your Teaching. Inspire all who hear their words with a desire to know more and share their knowledge with others. Draw all hearts to a deeper conversion and conviction to live according to the teachings of the Catholic Church. Bless all who are touched by the conference with a deeper love for You and zeal for the salvation of souls.